Portsmouth is the only island city in the UK, located on the south coast. The city is densely populated with over 200,000 inhabitants and, thanks to its naval heritage, the city has a rich cultural history reflected in its diverse community, which today includes residents of Chinese, Indian, Pakistani and African heritage. 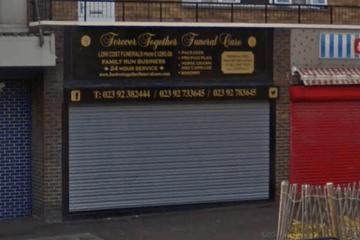 Therefore funeral directors in Portsmouth are likely to have experience helping families from different religious and cultural backgrounds. Places of worship in the city include Christian churches, the Sikh Community Temple in Southsea, Central Mosque and Portsmouth Jami Mosque. Jami Mosque is one of the largest Muslim places of worship in the south of England. Portsmouth and Southsea Synagogue continues to serve the needs of the local Jewish population. Local funeral directors in Portsmouth can help families with arranging a burial or cremation, taking into account their wishes and cultural preferences. Traditional or woodland burials are available, meeting the needs of residents from different communities. Portsmouth has council-managed cemeteries at Milton Road, Kingston and Highland Road. Portchester Crematorium, located in nearby Farnham, is a popular and convenient choice for local families. 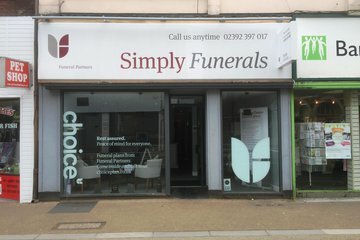 Portsmouth is well served by funeral directors located in the city, as well as throughout Gosport, Southsea and Cosham. Funerals can take place at a crematorium, local place of worship or other venue. 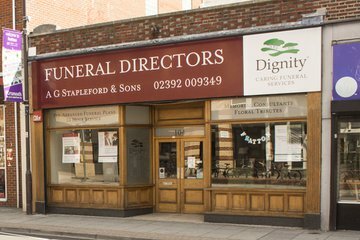 Funeral directors in Portsmouth have a wealth of experience on which to draw when discussing funeral arrangements with bereaved families. 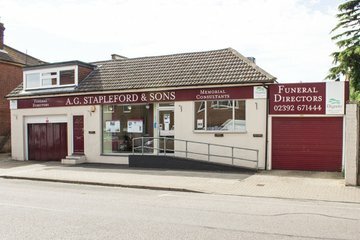 Enter your postcode or area to search for local funeral directors in Portsmouth now. You can filter search results by best rated, most reviewed or nearest to you. Simply click on a funeral director’s listing to see their profile page, where you can read independent customer reviews, search for recent obituaries, and learn how to get in touch to begin making funeral arrangements for your loved one.